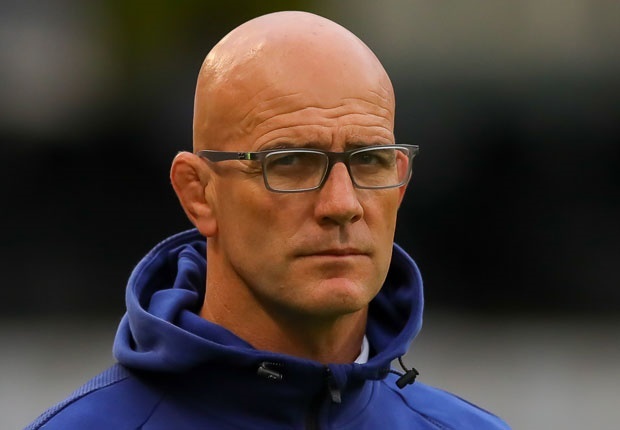 Cape Town - The Blue Bulls Company has given the assurance that coach John Mitchell’s position is not in jeopardy. Mitchell’s first season as Bulls Super Rugby coach did not end well, with the team finishing bottom of the South African Conference and 12th overall after winning just six out of 16 matches. It was the Bulls' worst ever Super 15 season, having never lost fewer than seven matches in previous 15-team Super Rugby tournaments. A report in Sunday newspaper Rapport indicated that Mitchell had requested R90 million from the Bulls board to help turn the franchise into a dominant force in Super Rugby again. The report added that Mitchell’s request did not go down well with some members of the Bulls board. According to Netwerk24, the Blue Bulls Company “strongly denies” that there is division among board members over Mitchell and insists that he has their full support. The Afrikaans website added that the R90 million Mitchell was referring to was the whole company budget and not only the player budget. This was however not confirmed by the Bulls in a statement. Mitchell recently said he would only sign a contract extension (until 2021) if the Bulls allowed him to buy new players, as he believed the current crop was simply not good enough. In recent years, the Bulls have had to get the cheque book out on numerous occasions to lure players to Pretoria. Springboks like Warrick Gelant, Jessie Kriel, Handre Pollard, Adriaan Strauss and Lood de Jager were all lured up country from other provinces. Some of them were signed straight after school, while others made the trek later in their careers. Depth appears to be an issue at the union and they may have to spend more on luring top juniors in the near future. The Blue Bulls struggled at this year’s Craven Week, with their first-choice team losing all three of their matches to Free State (38-21), Boland (19-17) and WP XV (20-16).